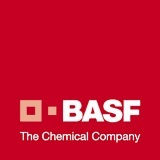 BASF Catalysts LLC has a long history of providing fluid catalytic cracking catalysts and moving bed catalysts. As a service to our customers, BASF Catalysts LLC provides extensive analysis of equilibrium catalysts from the field as well as characterization of our customers' feedstocks. Our Refinery Profile site provides an independent means for refineries to track the performance of their catalyst unit. When customers log on, it gives them a wealth of information such as real-time data, graphics capabilities, and much more. If you are a BASF Catalysts LLC customer and want to learn more, simply contact your BASF Catalysts LLC sales representative. This website is currently undergoing maintenance (APP01).